Specially formulated for the senior dog in your life. As our best friends enter their golden years their needs change. Many companies combine their senior foods with a light diet. Barking Heads do not! A Senior diet and a Light diet are two very different diets for two very different dog life stages. 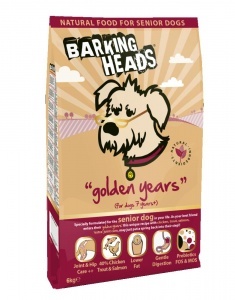 With a combination of easy to digest ingredients, correct levels of animal proteins and fats and added natural antioxidants and joint support, Barking Heads Golden Years may just help to put the spring back into their step! 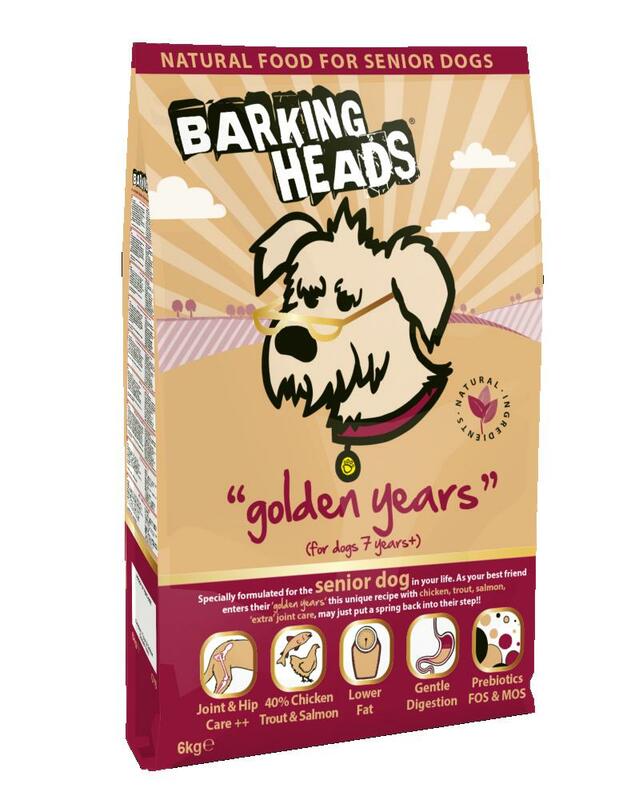 Barking Heads Golden Years contains more Glucosamine, MSM and Chondroitin which help to maintain and 'oil' ageing cartilage and stiffening joints. The apple and cranberries make Golden Years especially tasty, nutrient-dense and rich in all the good vitamins needed to not only look good and healthy, but to feel it too!